Here’s another Featured Deck that made use of the SILVER base background option at BoardPusher.com. Actually, James Johnson uses silver quite a bit. 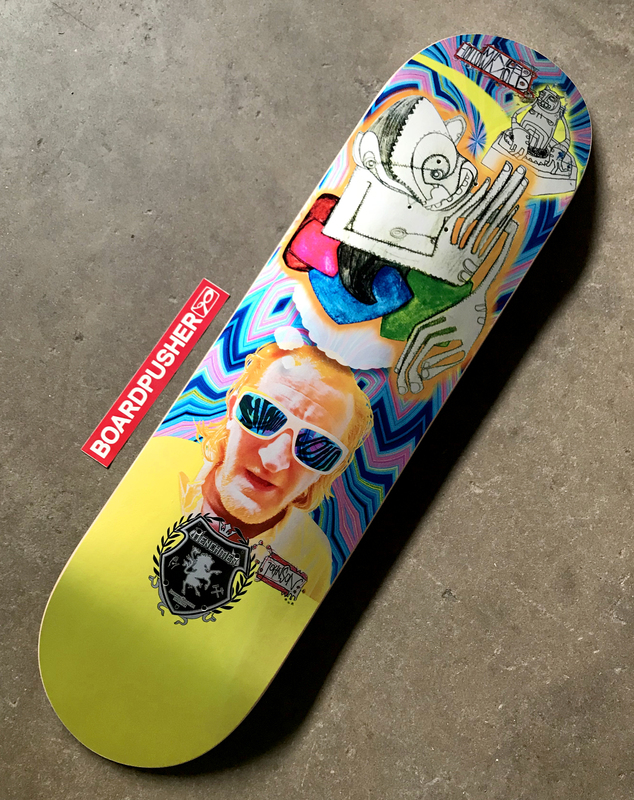 See for yourself by checking out more of his Henchman skateboard graphics at BoardPusher.com/shop/henchman. Natural, full color, or silver base options give your custom skateboard design a truly unique finish when creating your graphic at BoardPusher.com.